Yes, higher humidity does decrease your energy efficiency. It makes the air inside your home warmer, and your HVAC is going to have to cool it down. Now, moisture can be very tricky. 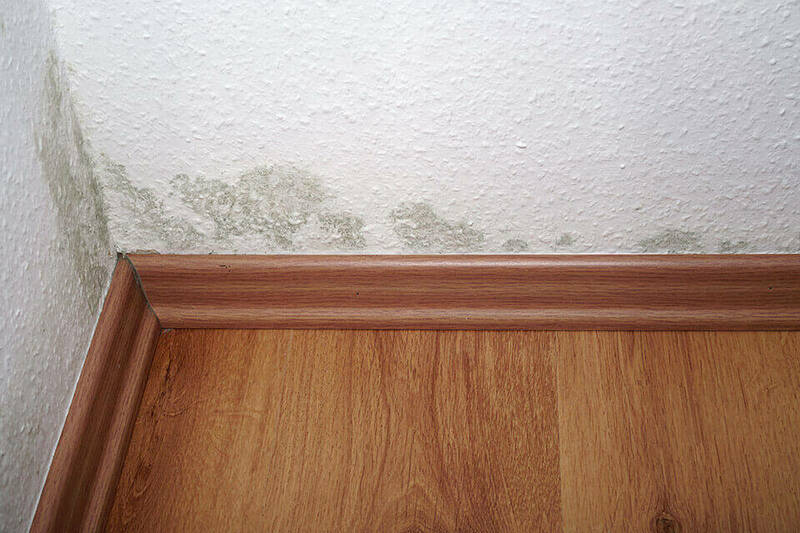 If a certain room in your home has a specific spot that’s moist, you’re probably dealing with a leak. Those are tough to find because water can hang to joists and pipes and run a long ways from the true source of the leak. But if it’s a whole room that’s affected, or even just an entire wall, then you’re most likely looking at a humidity problem. For leaks, you’re probably best off having a professional take care of the repair. But you can reduce humidity on your own. This article will teach you how to decrease humidity in your house. When moisture sneaks its way into your home, that causes a rise in humidity levels. So, the first step is to make sure you take every measure possible to prevent moisture from entering your home. If you have a crawl space with a dirt floor, cover it with a polyethylene ground cover. Make sure you have dry soil and no standing water in the area. Use fans, if you need to, to help you dry out the area. Make sure your dryer duct vents directly outside. If it doesn’t do that, you actually have a dangerous situation that can cause a fire and also causes high humidity. The kitchen and bathroom fans are there for a reason – to help let out obnoxious odors and excess humidity. Did you know if left in a room for 24-48 hours, humidity levels above 55% can cause mold and bacteria to grow? That’s just another reason to keep it in check. 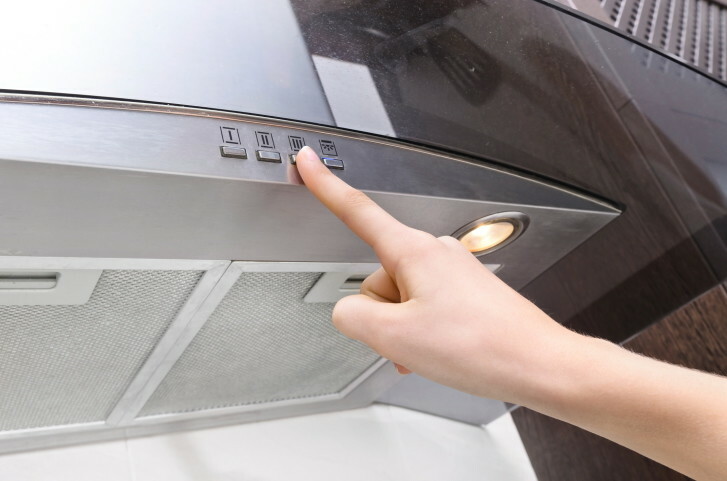 Run your exhaust fans whenever you have to cook or take a shower to keep that excess moisture out. If your indoor humidity levels like to hover at 65% or more, then it’s time to buy a dehumidifier. A portable one will do the job, but you can buy a whole-home dehumidifier if you have the budget available. Some plants, like Boston ferns, remove moisture from the air. Not only are you reducing your humidity levels and energy consumption, but you’re helping the environment by removing more carbon dioxide and adding more oxygen too! Some of that boiled water turns into steam, which then gets absorbed into the rest of your home’s air. If it’s really humid outside, some of that will get into your home no matter how hard you try. Don’t increase your humidity levels even further by boiling water! Reducing humidity is probably one of the lesser-known energy efficiency tips. But your energy bills, and maybe your health, will thank you for it. One chore that comes as a surprising source of humidity within homes is laundry. This stems from the moisture exposed to the home when wet clothes are hung inside. This can be made even worse by poor ventilation within certain rooms. In order to prevent your damp garments from increasing humidity levels, you can use a dryer or simply hang wet clothes outside to keep the moisture exposure from affecting your home. 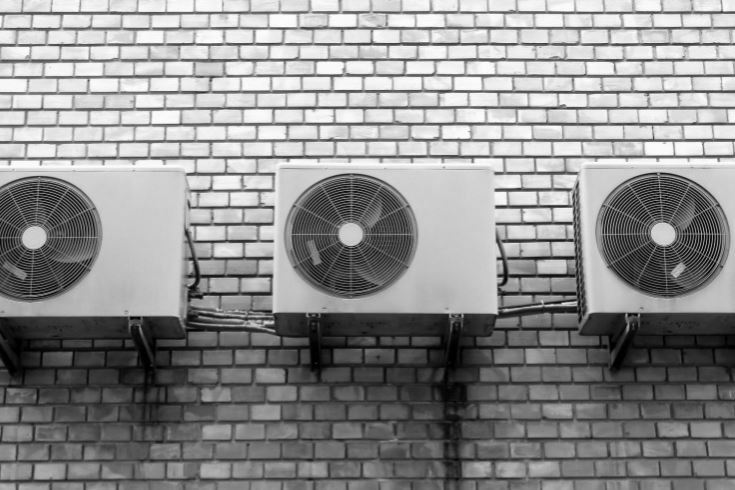 Air conditioning is a great tool for preventing or reducing humidity as in order to provide you with a cool home, it will pull in air from outside and filter out the moisture. This is a natural method of dehumidifying but is only as effective as your AC filters. Over time, filters become clogged and prevent the flow of air, enabling humidity. Giving them a clean will help to reduce the amount of humidity in your home. Vented furnaces have a similar effect also, so be sure that you clean those out as well. While long, hot showers are as much a part of a person’s routine as brushing their teeth, these showers expose homes to moisture and heat. Understandably, extensive cleanings contribute to the humidity of our house, but can decrease quite simply be taking colder or shorter showers. Efficient appliances like low flow showerheads can also be used to minimize the amount of humidity within a home by reducing the amount of moisture that homes are exposed to. Though they are often overlooked, carpets do more in homes than most people realize. In addition to cushioning surfaces and adding visual appeal, carpets also have the ability to retain moisture. Because of this, they may be quietly contributing to the humidity of your home. In the event you have tried other methods of dehumidifying your house and they have not worked, you may want to consider replacing the carpet. Most people think that lowering the humidity the house is only beneficial when it comes to temperature, but the that is not the case. The nature of humidity enables a number of organisms and processes to occur that affect those within the space in various ways. As a result, taking steps to drive down the amount of humidity in your home will pay off in more ways than one. There are times in which your house require aeration to flush out odors, but sometimes even after a thorough attempt to decrease those smells, they somehow remain. Humidity may be the thing bringing this on, as it actually causes foul smelling mold and mildew to grow. In order to reverse this, you’ll likely have to do two things. The first is to confirm whether or not there is a source for the smell and remedy it. That means locating and removing any sources of mold that may be growing. From there, you will want to begin dehumidifying to remove the moisture from the environment, which will help to restore the standard scent of the space. Humidity in homes allows allergy triggers like dust mites and mildew to flourish, as moisture is able to build up. As a result, those living in these spaces are subject to sneezing, wheezing, and stuffy noses. Not only can this make for miserable living conditions, it can be particularly harmful for children as it can contribute to the development of childhood asthma. Dehumidifying the area helps to make it dryer and stop allergy triggers from impeding upon everyday life. Sometimes residential areas are subject to particularly wet seasons, which enable the triggers to multiply. Be sure to dehumidify if your area experienced such a stretch. On top of affecting those within homes, humidity can have an effect on a number of structural components of the house as well. Just below the surface, the excess moisture from humidity can gradually rot at the wood within houses, causing the deterioration of both flooring and furniture alike. Humidity can damage drywall and exacerbate cracks, allowing for mold growth and drafts to enter your home and requiring you to make costly repairs over time. The benefit of diligently dehumidifying your home is that not only does it prevent damage, it also helps to eliminate the growth of hazards that may be in hard-to-reach spots and go unnoticed.